According to the United Nations Food and Agriculture Organisations 33.1% of global fisheries have been fished beyond sustainable limits due to overfishing and illegal fishing. To maintain fish stocks long-term, Lidl have developed buying policies to support the principles of sustainable fishing and fishing methods. We are committed to sourcing 100% of our own-brand permanent chilled and frozen fish products, as well as fish used as an ingredient in our products, from independently certified sustainable fisheries by the end of 2019 (MSC or recognised Irish FIP’s for wild caught fish and ASC or GLOBAL G.A.P. Aquaculture Standard for farmed fish). Our principles of responsible fish and seafood sourcing will ensure that the fish sold within our product ranges are sourced from the healthiest stocks possible using the least destructive fishing methods possible, with high regard for both environmental and social standards. As we would be unable to achieve this aim on our own, we work closely with our suppliers and the relevant national and international organisations to find solutions to promote sustainable fishing. Already 80% of out wild caught chilled and frozen fish is certified to the MSC standard. The MSC is an independent, non-profit organisation established to address the problem of unsustainable fishing and safeguard seafood supplies for the future. 100% of Lidl’s canned tuna is already responsibly sourced using either ‘pole and line’ fishing method; Fish Aggregation Devise (FAD)-free fishing practices or is MSC certified. We are also committed to sustainable packaging for our fish range including the recent move away from unrecyclable black plastic which will be hugely impactful. We have also recently joined the Global Ghost Gear Initiative (GGGI), a global cross-sectoral alliance committed to driving solutions to the problem of lost, abandoned and otherwise discarded fishing gear (also known as “ghost gear”), which account for about 10% of plastic pollution in the sea. 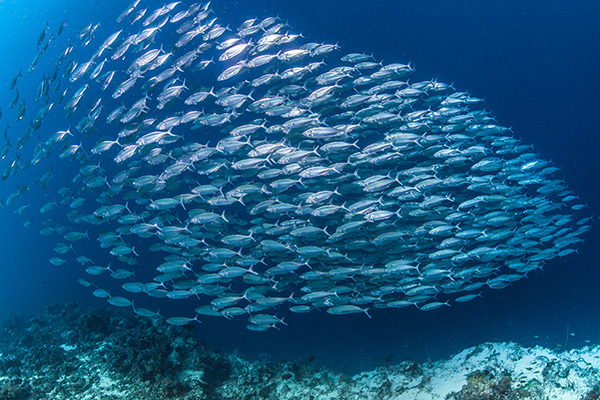 To learn more about our commitment to sustainable fish and seafood, download our Sustainable Sourcing of Fish and Seafood Policy. The Marine Stewardship Council (MSC) Fisheries Standard is a science-based set of requirements for sustainable fishing. The Aquaculture Stewardship Council (ASC) certification programme and label recognises and rewards responsible aquaculture. The GLOBAL G.A.P. Aquaculture Standard sets strict criteria for legal compliance, food safety, workers’ occupational health, safety and welfare, animal welfare and environmental and ecological care across the entire aquaculture production chain. The aim of the Global Ghost Gear Initiative (GGGI) is to improve health and productivity of marine ecosystems, protect marine animals from harm by extracting and dispose of marine litter, while providing tools for effective action against illegal unreported or unregulated fishing. The Fishery Improvement Project (FIP) developed by Bord Iascaigh Mhara’s (BIM) and the Sustainable Fisheries Partnership (SFP) provides a platform to improve the sustainability within a fishery and progress to certification under the MSC.